Comparto mi prólogo al flamante libro de Nicolás Carrillo Santarelli Direct International Human Rights Obligations of Non-State Actors: A Legal and Ethical Necessity. Me estoy especializando en prólogos de una página. In a world where individuals may launch global cyber attacks, transnational corporations may affect the most basic rights of indigenous communities, and powerfully armed terrorist groups may take the lives of innocent people wherever, it is impossible not to recognize that the acts of non-State actors can vastly affect the exercise of human rights. The expansion of the full efficacy of international human rights obligations is nevertheless still generally limited by international law, which usually defines human rights obligations as falling only on States. The grounds for this restriction stem from different sources, but the limitation has its particular basis on a certain conception of international law sustaining that States were and remain its most relevant subjects. These approaches explain in part why, for example, as Judge Crawford would put it, the law of personality and recognition ‘is still a law of exclusion, not participation’ in the international legal system. Moreover, supporters of this classic approach of international law and human rights affirm that expanding human rights obligations beyond the State will trivialize these rights and, most importantly, will confer non-State actors a legitimacy that should be preserved only for the State. 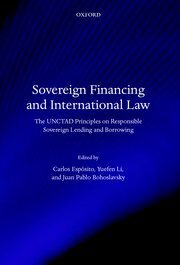 This book is an act of passion in which Nicolás Carrillo Santarelli uses his indefatigable intellectual power to attack the idea that only states can be held responsible for the breach of international human rights obligations. The author joins a tradition that goes back to Hersch Lauterpacht’s International Law and Human Rights, envisaging already in 1950 a protection for all human beings against a human rights violation ‘from whatever source it may originate’, and reaches a summit with the publication in 2006 of Andrew Caphlam’s Human Rights Obligations of Non-State Actors, defending that ‘human rights are entitlements enjoyed by everyone to be respected by everyone’. In a style that bears a resemblance to that of Judge Cançado Trindade, Nicolás Carrillo Santarelli takes this argument to its limits, sustaining that reasons of justice, ethics and law require the imposition of direct human rights obligations and responsibilities on non-State actors. 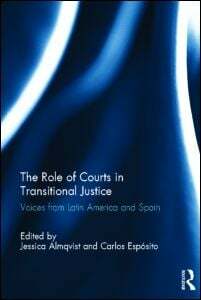 The author builds his thesis on a radical idea of human dignity and a broad prohibition of discrimination under the law. 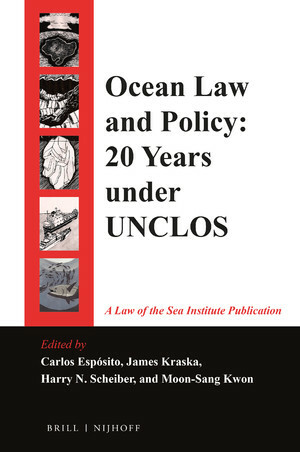 His endeavor, however, is not limited to a thorough doctrinal study: the second part of the book is committed to the analysis of the legal mechanisms and institutions concerned with the goal of giving total efficacy to international human rights, including proper reparations to the victims of human right violations by non-State actors, and not just States. I have seen the evolution of this book from its origins as a doctoral thesis project presented at the University Autónoma of Madrid. Throughout years of hard work and untiring scholarly discussions, Nicolas Carrillo Santarelli has developed his argument with determination, an extreme care and an enormous amount of serious research. He has put his reason to work for his passion to realize the protection of human rights from any kind of breach, whatever its source, achieving an extraordinary academic monograph.